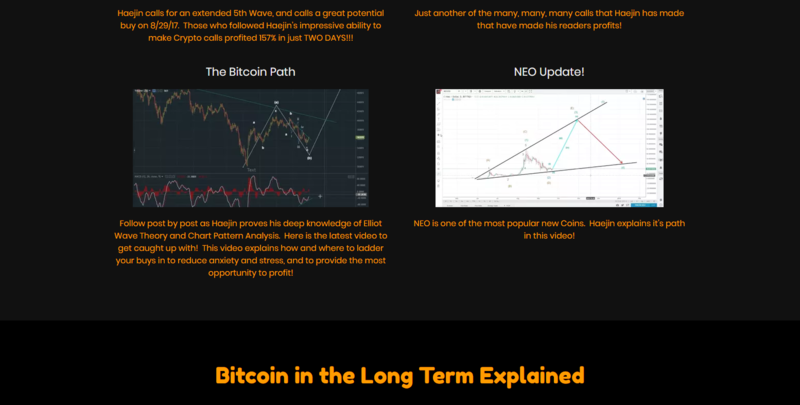 FREE TECHNICAL ANALYSIS OF BITCOIN, LITECOIN, MONERO, OMG, NEO...any crypto you request! By a 15+ Year Veteran of Elliott Wave Analysis & Chart Pattern Recognition!steemCreated with Sketch. There is a saying: "You get what you pay for!" So, when a FREE Technical Analysis offer comes along, it potentially loses value perception. I understand. However, I urge you to examine the evidence of my performance, which is in my blogs. The same for the positive comments I receive from those who are much helped by my FREE Technical Analysis. The aim of my Steemit blog is to HELP & Do No Harm. It's my way of giving back. I offer many years of MASSIVE failure experiences in TA because I've learned from each and every mistake. For this reason, like any endeavor, failures teach better than successes. I take any and all requests for crypto coin analysis and provide near same day and at times, same hour, turnarounds. I'm confident I can help augment your due diligence. My only request is you consider an upvote, follow and/or resteem. Please do an analysis on Ethereum Classic (ETC). Thank you. Here is an analysis of ETC, please use only to augment your due diligence. 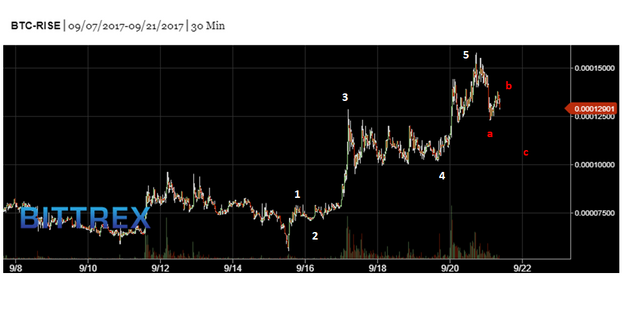 recently I thought the crw/btc chart will be breacking the downtrend but have been quickly rejected. on the usd chart, I am not sure it have finish to correct yet. Hi @michelios, thanks for the comment. I've posted my response here, please use only to augment your due diligence. I hope this helps! That is really nice of you! How does one take you up on such a generous offer? My aim is to help and do no harm. If you have a crypto coin you'd like analyzed or have any questions, please let me know in the comments. this post got upvote from http://steemit.com/@lighttheworld. follow the link and you will get automatic upvote. Just request a coin here or on my page and I will be glad to pass it on. Streamlining the process is in the works, for now....just ask! Here is the analysis for BTS, please use only to augment your due diligence. great post dear, thanks for your information . this post got upvote from http://steemit.com/@lighttheworld. @haejin is ABSOLUTELY the BEST on steemit at Crypto Analysis. 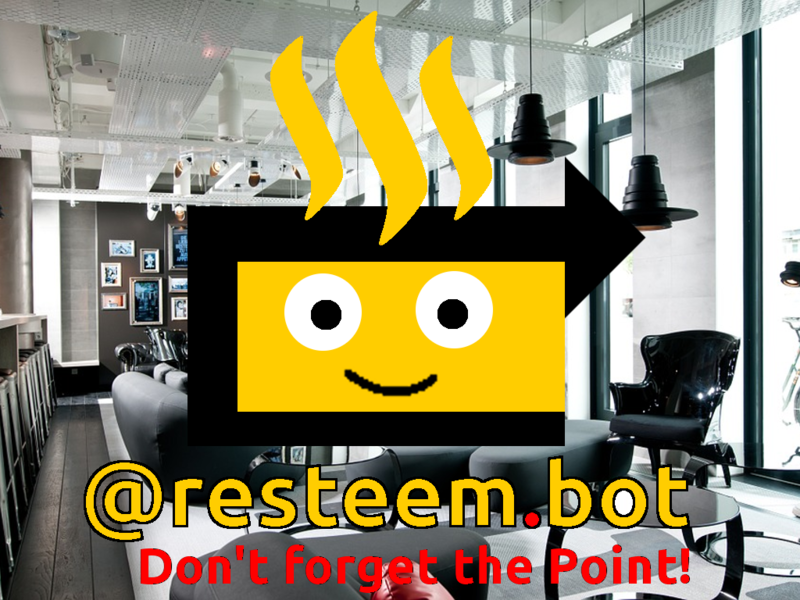 Send him your coin requests, and he will be glad to analyze it for you FOR FREE!!! Are you kidding me? This is EXTREMELY valuable information. People pay thousands a year just for minor analysis, and @haejin is taking requests for free!!! Most valuable poster on steemit I've found so far. Period. What do you think about NEO in the long term? and IOTA? Here is the analysis for NEO, please use only to augment your due diligence. Here is the analysis for IOTA, Please use only to augment your due diligence. Please do an analysis on Internet Of People (IOP). Thank you. Here is the analysis for IOP, please use only to augment your due diligence. Hi @Haejn, thank you as always for all your help and advice. Could I ask you to look at Rise (RISE) please. 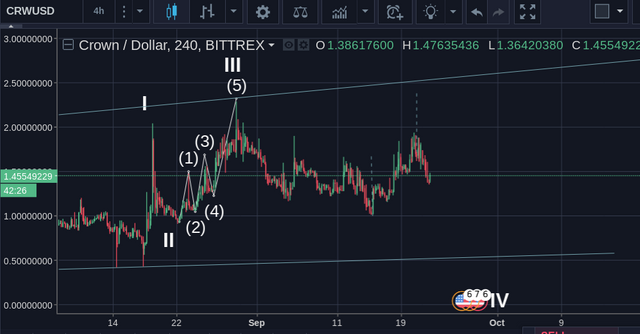 I'm more interested in the recent chart pattern, I came across this yesterday, and just looking at how the waves have formed, everything looks very neat. What I would like to know is pattern recognition, could you help with this please? I'm finding it difficult to find a starting point to count the waves too. EDIT - Been doing some reading, and I can see bullish flags, maybe a double top and what could be a start of a HS with the LS completed. Hi @haejin, thank you for this, really appreciate it, I just ordered my EW book today! If you have time tomorrow, could you look at outlining some of the patterns I mentioned, maybe using the last chart I uploaded, if you can't it's not an issue. Great to hear you ordered the EW book. Soon, you shall be very proficient with lots of practice. Here is the count. I assume the all price bars before my 1 is a prior correction that completed. Not how I placed wave c (red) in the prior wave 4 zone. @haejin, thank you for doing what you do:) I am new to TA, and very new to Elliott wave. I find it fascinating but have found it also difficult to understand as it is out of my wheelhouse. Watching your videos has given me insight and a much better understanding of the theory! You have a way of explaining things that makes this make sense even to an outsider. Your time is truly appreciated. Thank you. Glad it's helpful! That's my objective...to help! I am fairly new top Steemit and the world of cryptocurreny (wish I had been involved a year ago- but no time like the present). Your posts have taught me a lot. Welcom! Much more to come! Thats great. I'll check your site. Thanks! Bring the cheetah bot to my comments all the time! I've got a few trollers too.